Sean J Vincent Blog: 5D Mk3 and the ongoing camera wars. 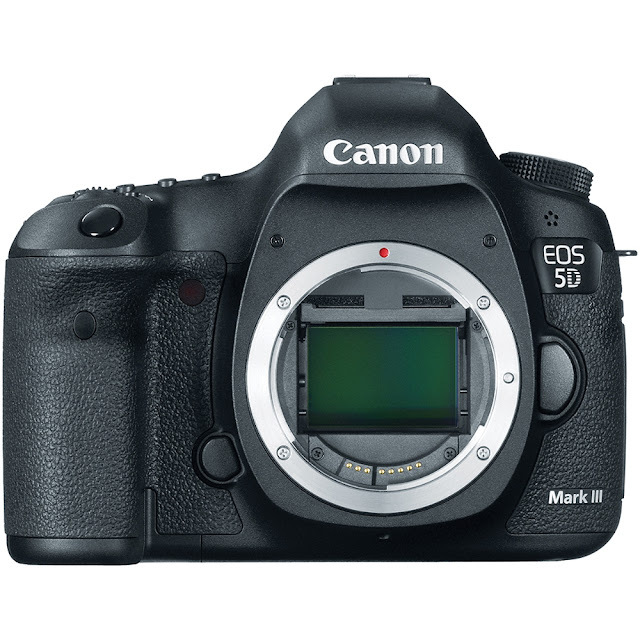 A few weeks ago, Canon launched the 5D mk3, the successor to the camera that started the DSLR revolution, the 5D Mk2. Every film making blog probably covered the launch, but to be honest i didn't see the point of getting involved. I haven't tested one and i don't think i will. Getting my Canon 550D back in 2010 helped me develop my shooting skills and i still enjoy shooting with it, but since i got the Sony FS100, i rarely use the DSLR for anything serious. I'm not saying the 550D is not up to it, it is, but as we all know, DSLRs are more of a faff to shoot with than a dedicated video camera. I think this feeling has finally spread throughout the industry. I wouldn't ever say you can't shoot with a DSLR, but i think they have taken their rightful place as another tool for the film-maker rather than a replacement for a video or film camera. Back when it was the only cost effective way to get that 35mm optics look with the shallow depth of field etc, then we needed to rely on them, but now i only use mine when i need the small form factor or i need to be inconspicuous. As for the 5D Mk3... it's had mixed reviews with regard to it's video capabilities. A lot of people aren't hugely impressed with the lack of sharpness of the picture. Even Phil Bloom advocates sharpening the picture in post to make the most of it. For the the kind of money the 5D Mk3 costs, i don't want to be messing with the sharpness in post. The addition of an SDHC slot as well as the CF slot is handy, as is the extending of the shooting time to about 30mins, but it's still not the camera some people hoped it would be. Canon finally added a headphone socket, and i'm sure people will be glad of it, but it looks like they really worked hard to protect the market which is being very kind to their C300 at the moment.... they could have made the 5D3 awesome for video, but why would they do that? I think the forthcoming 'C' series EOS DSLR which is supposed to be aimed at the video market and is possibly going to be 4k could be a lot more interesting. Like before, as long as it gives the film maker something they can't get without spending a lot more money, the DSLR form factor won't hold it back. I'm guessing the 4k will be compromised by a lack of HD-SDI output as well as a codec that will not get the best from it, not to mention it won't be real 4k... just 4x 1080p... but if they get the price right and we can use it to get true 1080, it will be a really useful tool to have. Whatever happens at NAB, you can sure that all these new wonder-cams will have a shorter shelf life than ever before as we keep ploughing through this ridiculous, but fun time of rapid tech expansion. Remember this though... a good Director is a story teller, not a technician.. the camera is always less important than the story.